Dredging the bottom of our archives brought up an interesting project by Edinburgh-based landscape architects Gross. Max. to counter the effect of global warming. 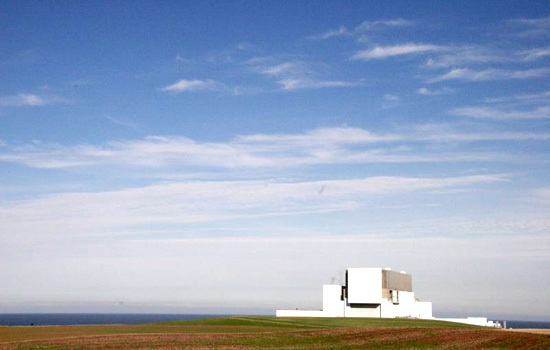 Submitted as part of the 6000 Miles exibition organized by Glasgow's The Lighthouse in early 2005, they proposed to use the Torness Nuclear Power Station to create a nuclear-powered iceberg and park it nearby on some stretch of Scotland's 6,000-mile coast. Of course, our immediately response is — why only one iceberg? If we are to believe Gross. Max. that “the only way to reduce the levels of CO2 emissions is to rely on nuclear power,” then the next logical iteration of their proposal is to build dozens more — a radioactive necklace of giant refrigerators — and then turn all those firths and lochs into glacier fields, maintaining Scotland's national climate as it awaits atmospheric conditions to return to pre-modern levels. Historic preservation for the climate-changed future. 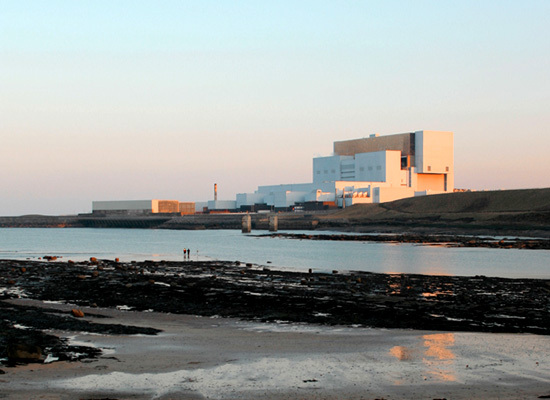 But whether or not you believe that nuclear power stations should have a role in combatting climate change or even whether or not this concept would alleviate the local effects of ungeographically high temperatures, this will surely be a popular destination. In Berlin a tropical indoor beach has just been opened while even in Scotland we now see the first indoor ski slopes with real snow. As a matter of fact people can't resist climate change; they actually hold a deep desire for it. Change of climate is the most important factor in selecting holiday destinations! For UK residents at least, it'll be a cheap alternative to Iceland. Hey Anon, where was I being testy?